Another night out on the town. Another night returning home drunk with my dysfunctional boyfriend, le motobécane. I even put on my fishnets for him when we go out. 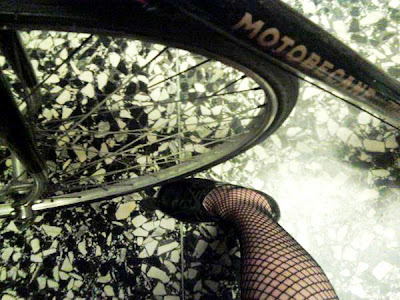 Girl, bike, fishnets, booze, very hot.